Rumana Ahmed, the Bangladeshi star women cricketer, received 2018 ICC T20 Team of the Year cap after showing a disciplined all-round effort over the years.Rumana who is also the Bangladesh Women’s ODI team skipper, has become the first Bangladeshi women cricketer to be named in any ICC team as she bagged 30 wickets as well as scored 229 runs in 24 matches she played in last year including four wickets in four matches in ICC Women’s World T20 2018. She has also been the second most successful T20I bowler in the 2018 calendar. The right-arm leg-spinner impressed in the Women Asia Cup 2018 in Malaysia. 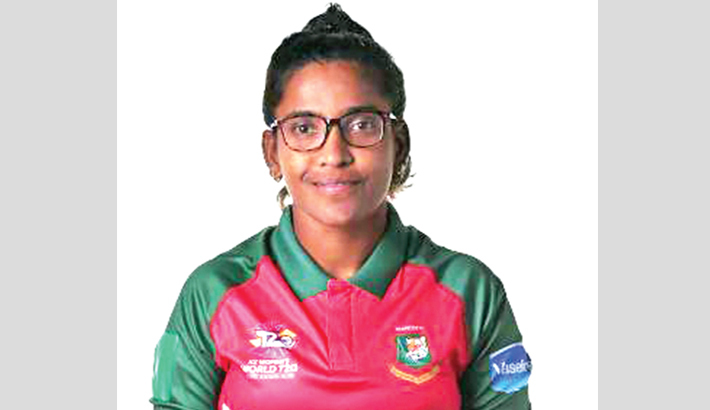 She scalped 10 wickets in the tournament and helped Bangladesh win their first-ever multinational event in international cricket. She also had a decent contribution in Bangladesh’s unbeaten run in ICC Women’s World T20 Qualifiers in Netherlands.